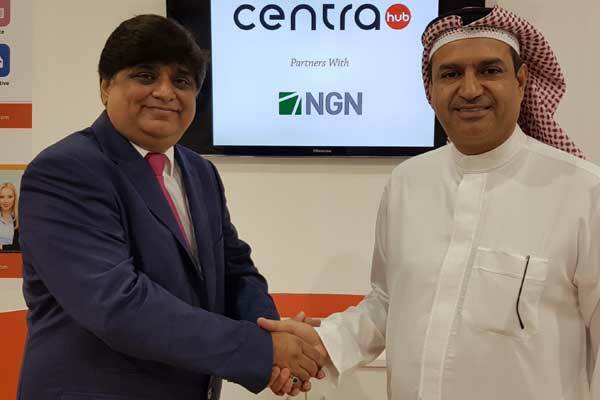 Dubai-based Centra Hub has signed a regional partnership agreement with NGN International, a systems integrator and IT consultant, which was established in 2015 in Bahrain as a part of NGN Group. Centra specialises in CRM, real estate and human capital management solutions. According to the agreement, Centra and NGN International will collaborate to leverage their technology and process integration strengths across the region, said a statement from the company. “We are confident that NGN International will enable their clients with Centra Hub applications and enhance their offerings portfolio, while simultaneously delivering exceptional value to their customers,” he said. NGN is a global systems integrator operating in Turkey and Middle East since 2005. The company is a trusted technology partner of various enterprises including Bosch, British American Tobacco, Daikin, Toyota, Mercedes, Qatar National Bank, Burgan Bank, Turkcell, amongst others. NGN creates business solutions for complex information, computing, telecom, and engineering systems with the focus on data centres and cloud solutions, call centres and networking infrastructure, IT infrastructure services, information and network security, advanced analytics and reporting, Big Data, application development, business and ITSM processes, building information modelling and smart cities, transportation and logistics processes, IT outsourcing, virtual reality and 3D solutions, Internet of Things and blockchain technologies. NGN offers services based on its own commercial data centres and its public cloud, and also creates private and hybrid clouds based on client data centres. NGN’s ‘‘Star of Bosphorus’’ Data Center has Tier III design certificate and is targeting to obtain facility and operational sustainability certifications from the Uptime Institute. “We are excited with the possibilities that the Centra Hub product portfolio can offer to drive down operating costs and enable cloud driven digital transformation,” he added. With its software systems delivering value under various monikers since over 15 years, Centra Hub’s forward-looking philosophy is to innovate, enhance, and simplify “people and process management” through scalable solutions for end-customers and empower the rapidly growing ecosystem of channel partners.